Since the earliest stages of my career I had a fascination with the science of aging. Accredit it to my mom giving us kids vitamins as birthday and Christmas presents, I have teenage memories of spending hours reading about the anti-aging benefits of different supplements. To satisfy this continual curiosity, in 2007 I joined the American Academy of Anti-Aging Medicine (A4M) and attended some of the most cutting edge conferences on the topic of aging. From break through anti-aging cosmetics to innovative cancer therapies, the science revealed at these conferences was years ahead common medicine. Surrounded by Plastic Surgeons and Dermatologists, most attendees didn’t understand why a Podiatrist and Movement Specialist would attend these conferences. I would explain to other Doctors that similarly how they use anti-aging medicine to prevent collagen degradation in the face as a means to preserve the beauty of youth, I too use these anti-aging secrets to protect collagen degradation in the myofascial and myotendinous system to preserve the beauty of human movement. Through my association with the American Academy of Anti-Aging Medicine, I quickly learned that collagen, whether it is in the skin of the face of the fascia of the foot, ages through the same process. A process known as – glycation. Collagen, the main element found in connective tissue, provides the structural foundation to skin, fascia and tendons. The soundness of these collagen units is determined by the stability of hydrogen bridges and covalent bonds referred to as crosslinks. Although crosslinks provide strength and stability, excessive or non-specific crosslinks throughout the collagen fibers creates stiffness and a lack of elastic recoil in the connective tissue (think fascial adhesions). These non-specific crosslinks are formed through a process known as glycation, which occurs in the presence of excessive glucose. Although we often associate excessive blood sugar with diabetes we are all susceptible to elevated glucose levels and the process of glycation. 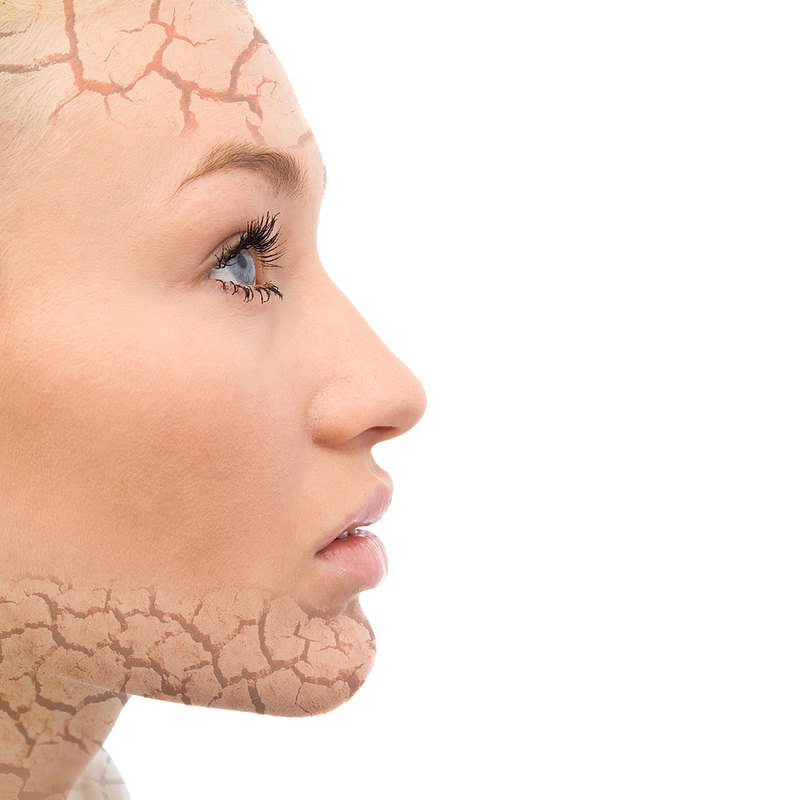 In fact, glycation is one of the most common reasons why we age as a whole. So what exactly is glycation and how is it associated with elevated blood sugar? Elevated or excessive sugar found in the blood stream spontaneously reacts with proteins forming a free radical known as advanced glycation end products (AGEs). These AGEs are responsible for forming non-specific crosslinks in collagen and subsequently stiffer collagen. The stiffer the connective tissue (collagen) the increased risk of micro-tearing during dynamic movement. Studies have shown that micro-tears in connective tissue are repaired with Collagen Type III vs. the normal Collagen Type I.
Collagen Type III is characterized as less elastic and stiffer compared to Collagen Type I which creates a repetitive micro-trauma cycle and eventual tissue degradation we know as tendonosis. So what can we do to prevent the formation of AGEs and non-specific crosslinks in our collagen? This probably goes without saying. If elevated blood sugar levels set off the chemical reaction called glycation then avoiding blood sugar spikes is obviously important. 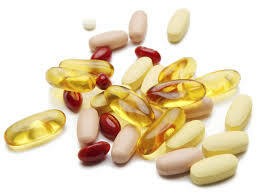 If you or your client have trouble controlling their blood sugar levels through diet and exercise consider the use of supplements such as Benfotiamine which has been shown to decrease blood sugar levels in diabetic patients. A 2005 study demonstrated decreased formation of AGEs in diabetic subjects with a daily dose of 300mg Benfotiamine. Benfotiamine is an active form of B1 and acts by inhibiting the deoxidation of sugar or glycation. Probably two of the most common anti-oxidants Vitamin C and E have been shown to prevent the formation of AGEs and crosslinks in collagen. A 2002 study by Abdel et al. demonstrated an 80% decrease in glycation / AGE formation in subjects supplemented with high dose Vitamin C.
Recommended dosage is 1000mg / day. Not only is baby aspirin heart healthy, but now studies have shown that daily aspirin can actually offset the formation of collagen crosslinks. Aspirin inhibits the formation of AGEs by acetylating lysine residues (L-lysine + sugar = AGEs). Recommended dosage is 81mg / day. You have probably read at least a dozen articles advocating the benefits of protecting cognitive function as we age. From exercise to crossword puzzles, there are many ways to keep your brain sharp as you age. But how much do you think about peripheral nerve health and age? Our ability to maintain an active lifestyle and participate in the hobbies we enjoy is just as dependent on a strong and healthy peripheral nervous system as it is to cognitive function. In this article we are going to explore the neurology of aging, how it affects all of us and exactly what we can do keep our peripheral nervous system vibrant and healthy ensuring what I call “movement longevity”. Comprised of both the Central Nervous System (CNS) (brain & spinal cord) and Peripheral Nervous System (PNS) (nerves & axons), our nervous system is responsible for coordinating voluntary and involuntary actions. Our PNS is a complex network of spinal nerves and plexuses branching from the spinal cord, and includes the cervical spinal nerves, brachial plexus and lumbosacral plexus. Traveling distally from the spinal cord, it is the peripheral nerves which are sensitive to stimulation from the palm of our hands to the tips of our toes. These peripheral nerves are sensitive to afferent stimuli or input signals which go back up to the CNS. The CNS then processes this input and sends an efferent signal or action signal back down to the PNS resulting in controlled, precise movements. To improve the accuracy and efficiency of each movement, our neuromuscular system is controlled by both a feed forward and feedback system or loop. Feed forward responses (aka pre-activation responses) are based on previous experiences or muscle activation patterns. These responses are stored in an area of the brain referred to as the cerebellum – and occur before the completion of the movement. An example of a feed forward response would be activating the ankle stabilizers before foot contact. Conversely, feedback responses (aka reactive responses) allow our neuromuscular system to adjust to errors, and auto-correct throughout a given movement. An example of a feedback response would be activation of ankle stabilizers when walking on an uneven terrain. Where the concept of neuromuscular control, movement efficiency and aging come together is through the accuracy of inputsignals as dictated by the peripheral nervous system. The more accurate the information coming in, the more precise our movements will be. If we were to imagine someone of an older age, we typically picture someone who is more frail and timid in their movements. We may note a delay in the correction of movement errors and often associate this delayed correction with an increased risk in falls. With falls being one of the biggest concerns as we age, instability and decreased control can often be attributed to an aging peripheral nervous system. So is there anything that can be done to protect the nervous system as we age so that we can maintain the movement accuracy of our younger years? Or must we succumb to the inevitable process of an aging neuromuscular system? The good news is there is absolutely something you can do to protect your peripheral nervous system from the aging process. It is called neuroplasticity through barefoot science. To fully understand this concept let’s continue exploring the peripheral nervous system specifically as it relates to the plantar foot. What’s unique about the PNS and the foot is this is where the smallest nerve branches exist. Divided into both sensory and motor nerves, cadaver studies have shown that 3x as many branches off of the tibial nerve provide sensory function. The peripheral nerves that have a sensory function to the skin are referred to as cutaneous nerves or in the bottom of the foot they are our plantar cutaneous receptors (aka mechanoceptors). These small plantar cutaneous nerves are responsible for processing information such as texture, skin stretch, vibration, deep pressure and light touch. All of the stimuli which allows us to maintain upright stance, manipulate uneven terrain and absorb impact forces. Our ability to detect surface compliancy and impact forces is heavily dependent on vibration detection. The importance of this sensory input is demonstrated by the fact that 80% of our plantar mechanoceptors are sensitive to vibration! If we go back to aging and the accuracy of input information for precise and controlled movements, the importance of vibration detection is of upmost importance. So how does aging affect our ability to detect vibration? Studies have shown that as we age, our ability to detect vibration input is impaired. From decreased mechanoceptor density to increased input threshold, by the time we are age 70 our plantar foot requires twice the stimulation to create the same response. This means that we need to do everything we can to ensure accurate vibration input is entering our plantar peripheral proprioceptors. One of the greatest inhibitors of vibration input are the shoes we love. Regardless of their fashion and functional benefits, footwear is not a natural feature of our nervous system or environment. Our nervous system and the bare foot were not designed to decipher impact forces through footwear and cushion. This concept is now readily accepted within the running and minimal footwear industries. So what can we do to offset the aging nervous system and maintain movement longevity in the unnatural shod environment in which we live? Although we typically associated elevated blood sugar levels with diabetes, we can all experience fluctuations in our blood sugar levels (think Ben & Jerry’s ice cream). Elevated glucose in our blood stream is converted to AGEs (advanced glycation end products). The myelin that surrounds our peripheral nerves is sensitive to these AGEs – which cause demyelination and disrupts signal transport. The formation of AGEs stimulates an increase in oxidative stress, free radical formation and an up-regulation in our pro-inflammatory markers. Or essentially elevated blood sugar levels (even in a non-diabetic) causes aging and degeneration of peripheral nerves (with the foot nerves going first!). When I was in Graduate School a big part of my focus was on vitamin supplementation and diabetic peripheral neuropathy. Having spent so much time researching this topic I became a firm believer in the benefits of the appropriate vitamins in protecting nerve health as we age. Everyone can benefit from nerve protective supplements – especially if we consider that elevated blood sugar levels (even in a non-diabetic) can start to damage our peripheral nerve function. This is not your mother’s folic acid! ALC is another powerful nerve protective supplement. ALC has been shown to decrease painful nerve symptoms, as well as increase vibratory sensation. Remember that we maintain balance and absorb impact forces based on our ability to detect vibration so this is extremely beneficial as age! Touted as one of the most powerful anti-oxidants, ALA has been shown to improve micro-circulation to peripheral nerves while decreasing oxidative stress. A key point about ALA is that it must be taken in the R-LA form. “R” form is one that is biologically active (vs. “S” form). Cardiovascular exercise has many benefits, one of which is related to peripheral circulation. The vascular system, just like the nervous system, is very intelligent meaning that if there is a loss in circulation to one area of a muscle the vascular system will create what’s called collateral circulation (or in other words form new blood vessels). This is why cardiovascular exercise is beneficial for those with peripheral arterial disease. So just like the collateral circulation formed in muscles, our vascular system can create new micro-vascular pathways to our nerves. The more blood and oxygen to our nerves the healthier they are! When I have a patient with idiopathic nerve symptoms I often include myofascial work into their recovery program. Our complex network of superficial and deep fascial is intertwined with just as complex of a network of arteries, veins and peripheral nerves. As our peripheral nerves course from the spine down to the foot it is only inevitable that they may get “stuck” or “sticky” at some point. From muscle adhesions to a loss in fascial flexibility, our inflexibility can often impede nerve conduction. Just like when you sleep on your arm and wake up with it tingling, to a smaller degree this is what’s happening to our peripheral nerves when they get caught in fascial tissue. I often recommend to my patients to release their plantar foot, up the back of the calf to the hamstrings and into the glutes and piriformis. For those with nerve symptoms this should be done daily. Tip # 5 – Go Barefoot! This one pretty much goes without saying! If our small nerves are on the bottom of the foot we want to keep them sensitive and awake through frequent barefoot stimulation. Our nervous system is very plastic – which means that it can be shaped, challenged and molded based on the stimuli it encounters. 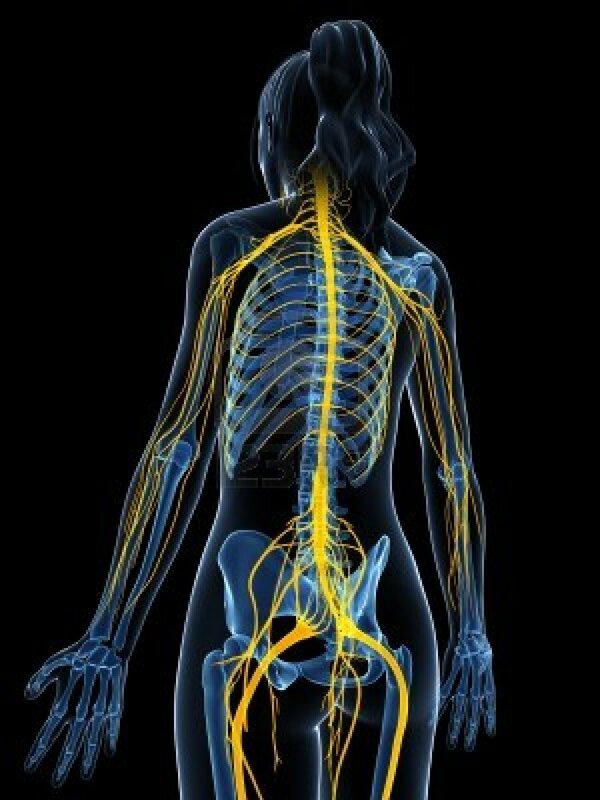 Conversely, if you do not stimulate your peripheral nervous system it will begin to weaken, fade and atrophy. Whether your barefoot routine includes vibration training, standing on different textures or simply walking around your home – daily barefoot stimulation is enough to keep these small nerves on point! Want to kick it up a notch? Workout barefoot! What does it mean to be BAREFOOT STRONG? As a Doctor one of my favorite aspects of my job is educating and empowering patients to take their health and well-being into their own hands. Most patient complaints could have been prevented if they had a little deeper understanding of the way the body moves, how forces are transferred through the body and the importance of soft tissue recovery. As a means to further spread the message of foot health and my approach to patient rehab I have decided to compile all my blog posts, webinars and workshop content into a book designed with the wellness professional and patient in mind. I have decided to write a book that shares the power of natural movement and innate loading responses through barefoot science. Through this book and through my teachings it is my goal to teach the world how to become BAREFOOT STRONG. As I began outlining the underlying message of the book, I started to question the meaning of “barefoot strong”? As I looked down at the myriad of research articles, notes and sample chapters I began to see the deeper meaning of BAREFOOT STRONG and what these words meant to me. I began to see that BAREFOOT STRONG means so much more than simply working out sans footwear. Refuse to allow the continuous damping of neuromuscular input due to footwear and unnecessary orthotics but rather welcome the proprioceptive input from the ground on which we stand. So what does BAREFOOT STRONG mean to you? I’m curious to hear your perspective and look forward to sharing my book with the world in early 2015! As barefoot training continues to gain traction within the fitness industry, EBFA wanted to take a few moments and speak with Barefoot Training Summit Presenter and Creator of willpower & Grace® (wPg) – Stacey Lei Krauss. In 2000, Stacey introduced her first barefoot fitness class and now 13 years later wPg can be found health clubs and movement studios across the world. Stacey has played a key role in the growth of barefoot training within the fitness Industry and we proudly welcome her to both the Delhi and Denver Barefoot Training Summits! Thank you for taking a few minutes to answer my questions and share with our readers your passion for barefoot training and foot fitness. In 2000 you first launched your willPower & grace® workout. Can you tell us a little bit about the history of wPg, what led to the creation of a barefoot workout and what the name represents? In 2000, I was living in NYC – developing a smart workout for discerning NYC ladies. I blended elements of cardio, strength, endurance and flexibility; a workout that could “get it all done” in an hour. Mindful movement, at this time was still a “specialty” – in fact, most fitness consumers didn’t even know what Pilates was. I wanted my students to be aware of their bodies – to work with precision and focus. My workout evolved into a sequence that challenged my students to work without props (weights and steps). I fused functional training with old school calisthenics and dance, yoga fundamentals and Pilates principals. It became a fusion of the industry’s most efficient and effective workouts. I began to see movement quality improve, and I loved what I saw. We had started working “smarter” instead of harder. The name? At the time, it was a play on “Will & Grace”, the hit TV show about hip NYC singles. As I coached my class, I cued “building willPower like a muscle” (self control) and “moving with grace” (elegance of action). Post 9.11, however, the philosophy grew much stronger. Each exercise started to have its own metaphor with regard to cultivating strength and flow in everyday life. I was surprised, and honored when an instructor asked me if I would teach her my format. From there, the program began, and now, here we are, 13 years later… and we’re global. Have you always had a love for feet or did you have an experience that made you want to focus on foot fitness? I grew up dancing and I was barefoot whenever I could be. As an adult and a fitness professional, when I took aerobics classes, I was barefoot. Of course, when I taught I wore my “uniform” – highly cushioned and supportive shoes. One summer morning, I walked to the gym in flip-flops. When I arrived in the studio, I realized I’d forgotten my athletic shoes. So, I announced that I’d be teaching barefoot. With this, a few of my students asked if they could kick off their shoes as well. Since our workout was equipment-free, I didn’t need to worry about my students dropping weights on their feet. What I saw (and heard) amazed me. It was natural for me to move effortlessly and gracefully across the floor without cushioning. I didn’t make a sound. However, my students were thudding, clunking and banging their skeletons against the hardwood floor. Wow! What a moment. I realized then, that I had a tremendous teaching opportunity. And so it began. willPower & grace® became one of the first “modern” barefoot cardio workouts, and certainly the very first to cue foot fitness as a fundamental concept. As a bizarre side note, my high school year book aspiration was “To walk barefoot in the sand, with the world at my feet.” Being that I didn’t grow up on the water, or even near a beach, I think someone “up there” was making plans for me. What is your response to the increased awareness in foot fitness and barefoot training that is happening throughout the fitness industry? Has barefoot training reached its peak? How big do you see barefoot training becoming within the industry? It’s been a tough decade, as I’ve needed to convince people to take their shoes off and exercise the feet the way they exercise the rest of the body. Until a few years ago, there was no evidence-based information that supported foot fitness. Now, as the Fitness Advisor for Vibram FiveFingers® (the shoe with toe pockets), I present to fitness professionals and consumers about how to train the feet and the multitude of benefits. Thanks to Born to Run, running has become the modality that’s brought barefoot training into the spotlight – but what I teach reaches far beyond running. This is the evolutionary path that our industry will need to take. From an industry perspective, barefoot training is barely in its infancy. I predict that within 5 years we will not see cushioned, structured shoes in the fitness arena at all. Those big bulky shoes will be sitting in a box with those big leather lumbar support belts that we used to wear. Not familiar with willPower & grace®? Stacey Lei Krauss is schedule to teach at the Delhi Barefoot Training Summit 13 – 15, March 2015 and Denver Barefoot Training Summit May 8 – 10, 2015. The average adult takes between 5,000 – 8,000 steps a day. Often completely unaware of the complex motor programming that goes into each step we take, walking is one of most common movement patterns taken for granted. 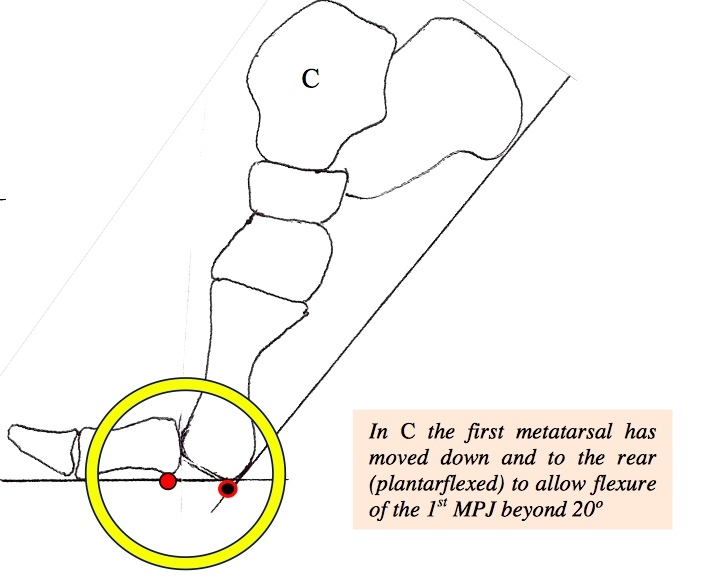 In today’s blog we are going to focus on an aspect of gait (or rather a joint) that is often overlooked and where biomechanics are often over-simplified – meet the great toe joint aka the first metatarsophalangeal joint (MPJ). 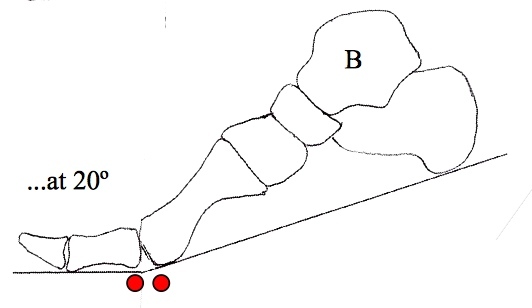 Playing a critical role of how we push off with each step, the great toe joint can be linked to compensation patterns ranging from over-recruitment of the adductors (secondary to an early heel lift) to inhibition of the gluteus maximus (secondary to shortened stride length or apropulsive gait). These faulty push-off mechanics are related to a limitation in great toe range of motion or dorsiflexion. Requiring at least 30 degrees of dorsiflexion for push-off, the optimal range of motion we want to see in our clients is actually closer to 65 – 75 degrees. So what do we do if our client or patient presents with limited dorsiflexion? We will explore below that due to the complexity of the foot (and human body in general) the goal of optimizing great toe dorsiflexion is not as simple as “stretch the joint”, “mobilize the joint” or “decompress the joint”. If we took a closer look at the biomechanical studies related to great toe dorsiflexion, we would find that shifting into propulsion or onto the great toe is a complex series of muscle activation patterns. Any delay in the timing of these muscle activation patterns, limitation in dorsiflexion will occur and compensation patterns soon follow. Flexor Hallucis Longus (FHL) – inserts on the plantar aspect of the distal phalynx and is responsible for keeping the great to fixed to the ground during propulsion. Flexor Hallucis Brevis (FHB) – inserts on the plantar aspect of the proximal phalynx and is responsible for stabilizing 1st MPJ. Running through the tendons of the FHB are the sesamoids. These small bones act as a fulcrum for the 1st metatarsal head as it rolls over the base of the proximal phalynx. Abductor Hallucis – inserts on the plantar aspect of the proximal phalynx and shares a tendon with the medial belly of the FHB. This muscle helps maintain 1st MPJ stability in the transverse plane. After the 1st metatarsal head rolls over the base of the proximal phalynx, now it is time to slide. This step requires the 1st metatarsal head to slide plantarly relative to the base of the proximal phalynx. The muscle responsible for this step is the peroneus longus. Acting as an antagonist to the tibialis anterior (remember your spiral fascial line), the peroneus longus is a primary stabilizer of the first ray. When the peroneus longus engages it plantarflexes and laterally compresses the 1st metatarsal – creating the stability needed for push-off. If a client cannot engage the peroneus longus fast enough what happens is we see them bypass Step 2 – Slide and head directly into Step 3 – Compression. Early compression of the 1s MPJ can lead to jamming, synovitis, capsulitis, pre-mature arthritis and an array of proximal compensation patterns. This bypass of Step 2 into Step 3 is often referred to as Functional Hallux Limitus. As our 1st MPJ moves into this final stage of dorsiflexion provides the stability requires for optimal transfer of forces and balance. So what is one of the best ways to optimize our clients or patients’ 1st MPJ dorsiflexion? For the answer we need to go back to this bypassing of Step 2 – Slide. We must be asking ourselves, how can we assure proper peroneus longus function and activation? The answer? Look at the rearfoot. Is it everted? In an everted subtalar joint the peroneus longus muscle is made lax or it loses it’s natural tension for proper force production. If the peroneus longus muscle is not able to properly oppose the tibialis anterior we begin to see what’s called metatarsal elevatus or dorsiflexion of the 1st ray. This leads to jamming of the 1st MPJ during dorsiflexion. In an everted subtalar joint the posterior tibialis is often underactive or weak. In previous blog articles we discussed how the posterior tibialis is part of the Deep Front Line and actually inserts into the peroneus longus tendon. Activate their intrinsics and Deep Front Line through short foot and barefoot training. Barefoot Training Specialist® and BarefootRx® Rehab Specialist Certifications.